Some people might wonder why they need a home weather station when you can simply check the forecast online. The problem with this is that these reports get less precise the further you are from the weather station collecting the data, which is usually located at an airport or other fairly remote location and may not be accurate or up-to-date for your specific area. In contrast, a quality home weather station provides the most detailed and timely environmental information available for your locale, giving you more accurate forecasts and letting you better plan your outdoor activities. Whether you’re a farmer, amateur weather enthusiast, or just someone who wants a better handle on the local weather, we’ve researched dozens of different weather stations from the biggest manufacturers in the business to help you choose the best one to fit your needs and budget. Read more about our methodology. 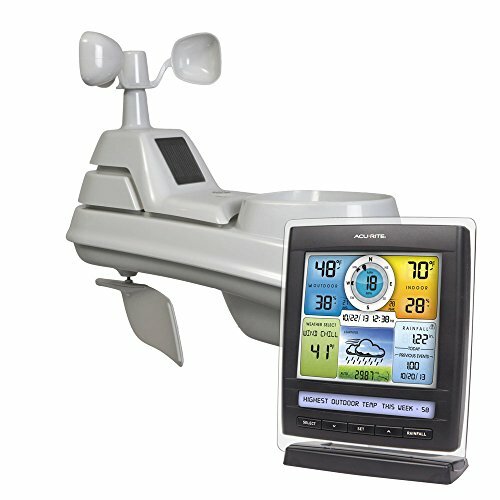 The Davis Instruments 6250 Vantage Vue is a fully-featured wireless weather station that covers all the bases. Along with accurately measuring virtually any weather metric you could want, the Vantage Vue sensor boasts an excellent range and rapid response time. The La Crosse Technology S88907 forecast station is a no nonsense system that is as reliable as it is affordable. This lightweight station provides great measurement features for its low price and delivers a solid unobstructed wireless range of 300 feet. 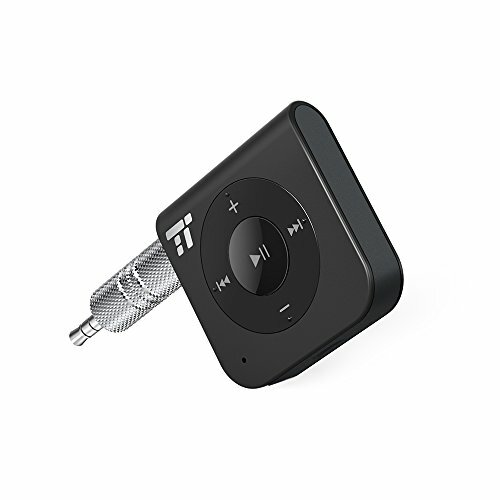 The AcuRite 01512 is an excellent and affordable wireless system from one of the biggest names in the industry. Its self-calibrating sensor is durable and accurate, and this station combines a wide range of measurement functions with long-term weather tracking. 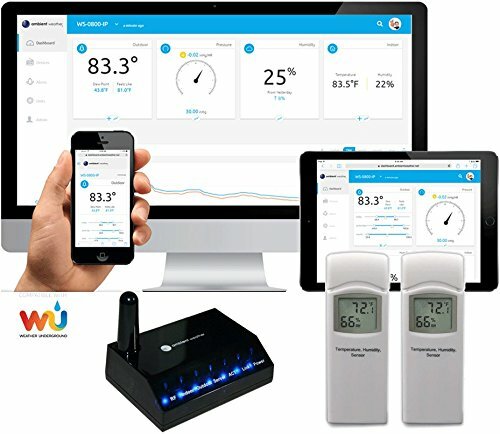 The Ambient Weather WS-0800-IP Observer Base is a budget-friendly Internet-connected weather station that measures temperature, humidity, dew point, and air pressure, and uploads this data to online cloud services for easy long-term weather tracking. A handheld weather meter can be a lifesaver on the trail. The pocket-friendly Kestrel 3500 boasts an excellent suite of features for its size, measuring wind speed, temperature, altitude, barometric pressure, humidity, heat index, and more. The Vantage Pro2 is a serious cabled weather station for serious users. Among the most advanced commercially-available systems on the market, the Vantage Pro2 offers a wide set of measurement capabilities, superb accuracy, near-instant response times, and a customizable sensor suite. The primary consideration when choosing a weather station is what data you need your system to collect. Many users are perfectly happy with basic temperature, humidity, and air pressure readouts, and most systems cover these bases. Buyers with more advanced needs should look at higher-end units that also measure environmental factors like wind speed and direction, rainfall, and UV levels. Also worth considering is whether you need forecast capability and how accurate this needs to be. Many stations provide a basic forecast calculated from changes in air pressure, while advanced models will use a variety of data to provide a more accurate future readout. Finally, if you live in an area prone to harsh storms or natural disasters, a weather station that can detect these events and activate warning alarms is a must-have. Most weather stations utilize a single outdoor sensor, while some advanced models may feature multiple sensors or a customizable sensor suite that can be fitted with components of your choice. Although the console is the “brain” of your system, the sensor is the backbone, and its quality will determine how effective your weather station is at doing its job. Key things to look for here are accuracy, durability, and response time. Ideally, a weather station should report data within a two percent margin of error (preferably less) and feature a response time within 30 seconds with the better ones boasting a refresh rate of fewer than 10 seconds. The sensor’s ability to withstand the ravages of weather is also vital as it will be exposed to the elements 24 hours a day. Good build quality is important, and the best sensors will also have radiation shields to protect the internal electronics from the sun’s rays. Most people are best served with a wireless weather station, although it is up to you to decide if the added cost of a cabled system is worth it. Wireless systems are easier to set up but may be slower or less reliable in bad weather; wired systems are faster, more feature-laden, more reliable in harsh conditions, and generally more accurate, but are considerably more expensive and difficult to install. Range is also a factor, and most good wireless weather stations offer an unobstructed sensor range of 300 feet while pricier wireless sensors offer a longer unobstructed transmission range of up to 1,000 feet. As your console will be indoors, you will need to factor in walls and other obstacles that limit your system’s effective range – another problem that wired systems do not suffer from. The basic technology behind weather stations is nothing particularly new. 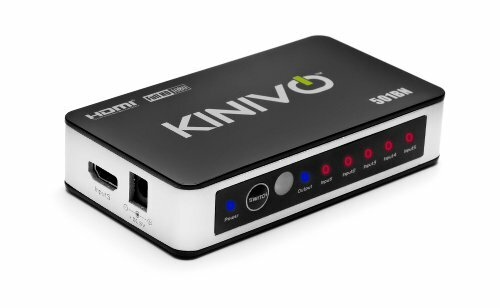 Their increasing popularity among average users has pushed manufacturers to produce consumer-friendly models at affordable price points, and entry-level stations can be had today for as little as $40-50. These systems offer a fairly simple set of features and environmental measuring capabilities, but all cover the basics like temperature and humidity and offer a good wireless range of 300 feet unobstructed. More advanced wireless systems range anywhere from $80 to $300 depending on features and range, with $130-150 being the “sweet spot” for excellent all-around home weather stations. Expect to pay more than this for a unit with extra sensors and a longer wireless range, however. Portable weather meters also run a wide gamut of price points, from $50 for fairly basic devices up to $300 for more feature-laden ones that can measure extra things like altitude and air pressure. Wired or cabled weather stations, being the most advanced, are also the most expensive and generally come in at between $300 and $500 for consumer-grade models – not including the costs of any professional installation that may be required for these. 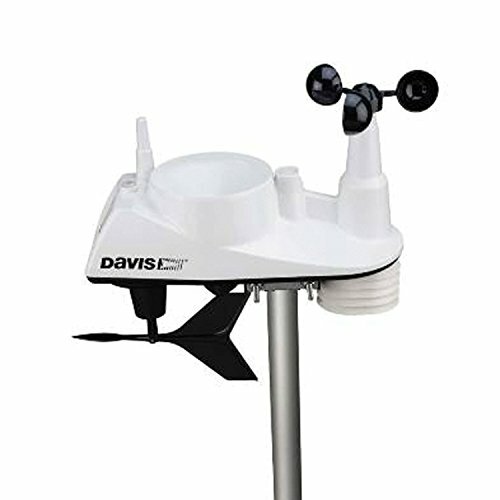 For a top-of-the-line wireless weather station, look no further than the Davis Instruments 6250 Vantage Vue. This system delivers quick and accurate measurements for a wide variety of weather metrics including temperature, humidity, wind speed and direction, rainfall, air pressure, and more, and its high-quality sensor provides an unobstructed wireless range of up to 1,000 feet. The Vantage Vue tracks weather patterns over hours, days, or months, and provides reliable forecasts as well. Collects a wide range of environmental data. The Vantage Vue features a thermometer, hygrometer, rain gauge, barometer, and anemometer (wind gauge), tracking all the weather metrics a non-professional user could want. The station also provides both indoor and outdoor measurements of temperature and humidity. Excellent sensor range and response time. The sensor offers an excellent unobstructed wireless range of up to 1,000 feet, making the Vantage Vue a good choice for larger properties. The snappy response time of 2.5 seconds also means your system is giving you the most up-to-date information without excessive signal lag. Collects and tracks long-term data. The console stores and tracks environmental data for the past 25 hours, days, or months and displays this in a small graph on the base station. This gives you a better handle on recent and long-term weather trends for your locale. Provides a forecast and weather alerts. The system uses collected data to create a local forecast, and you can program alarms to alert you to sudden weather changes or if certain conditions fall outside of set parameters. The Vantage Vue even features a moonphase function and provides sun rise and sunset times. Durable solar-powered sensor. The sensor unit is high-quality, radiation-shielded, and built tough enough to stand up to constant exposure to Mother Nature. The probe is also solar-powered which saves you the hassle and cost of fussing around with batteries. Fairly expensive. The Vantage Vue 6250 is comparatively expensive in relation to other home wireless weather stations. Nonetheless, its extensive suite of features, excellent sensor, large range, and rapid response time make this system worth the extra cost. Outdated-looking console display. The base station, while perfectly functional, features a rather old-school design. The display is not colored (although it is backlit) and lacks modern touchscreen capabilities. The La Crosse Technology S88907 is an excellent no-frills weather station for first-time buyers and those who just need a reliable and affordable home system. 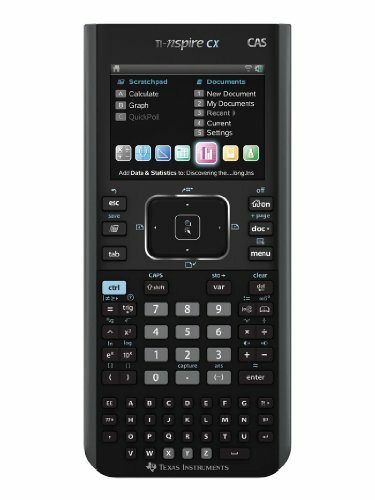 While inexpensive, the S88907 punches above its weight when it comes to features, providing temperature, relative humidity, and dew point data. Indoor and outdoor measurements of temperature and humidity and a heat index readout also provide you with data you need to stay comfortable both inside and outside your home. Nice suite of features for a small station. 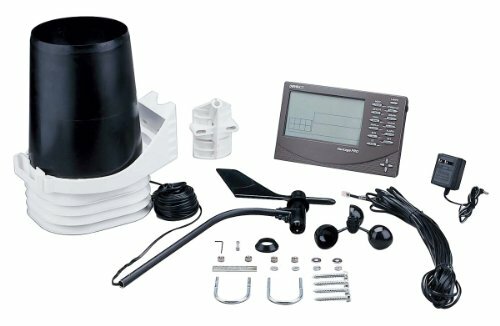 For a lightweight entry-level system, La Crosse Technology’s S88907 can measure an impressive set of data including indoor and outdoor temperature, relative humidity, dew point, pressure trends, and heat index, providing a basic but solid set of data to keep you abreast of local weather conditions. Excellent value. Along with its measurement capabilities, the S88907 provides some nice extras which are often not found on weather stations that come this cheap. Notable features include a basic forecast readout and high- and low-temperature alerts. Backlit colored LCD display. The S88907 base station has a colorful backlit LCD display that is considerably more attractive than the old-school black-and-white consoles that many systems use. This slim vertical panel is easy to read, and the animated forecast panel lets you check the weather at a glance. Good wireless sensor range and response time. The wireless sensor is small, yet features a solid wireless range of 300 feet unobstructed. The refresh time of 30 seconds, while not as fast as some systems, is also more than sufficient for a system of this power built for home use. Measurements and forecast are fairly basic. As is to be expected from a weather station at this price, the S88907 provides fairly basic measurements with acceptable accuracy. The system lacks wind and rain gauges, and as it uses barometric pressure trends to forecast the weather, this readout will not deliver pinpoint accuracy. Glossy LCD screen can be hard to read when not plugged in. The console panel can be powered by either batteries or the AC adapter but is dimmed when on battery power and can be tricky to read in bright light conditions. The glossy surface doesn’t help with this and is prone to collecting fingerprints as well. Most average users and buyers looking for a weather station to install at home will be served well with a wireless unit. These stations feature one or more sensors which collect weather variables and connect wirelessly to a console which displays data in real-time and serves as an interface to manage the system. Although a Wi-Fi signal may be more prone to delays or drops in inclement weather than a wired connection, wireless weather stations are considerably more affordable and much simpler to set up than their cabled counterparts. The AcuRite 01512 is our top pick for buyers who want a beefier home weather station that doesn’t break the bank. This wireless system collects indoor and outdoor temperature, humidity, air pressure, rainfall, and wind speed, and can store and track temperature and rain data over the long term. 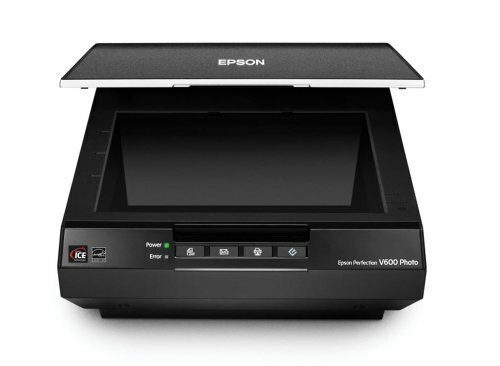 The self-calibrating wireless sensor offers an unobstructed range of 300 feet, and the console features an attractive and easy-to-read full-color display. Self-calibrating wireless sensor. The AcuRite 01512 utilizes a sturdy wireless sensor that re-calibrates itself every 12 to 24 hours, ensuring that the probe’s accuracy does not suffer due to dropped connections or sudden changes in external conditions. This sensor also offers a good unobstructed range of 300 feet for a reliable signal. Colorful and information-rich LCD display. The base station’s full-color LCD display is easy to read and pleasant to look at. 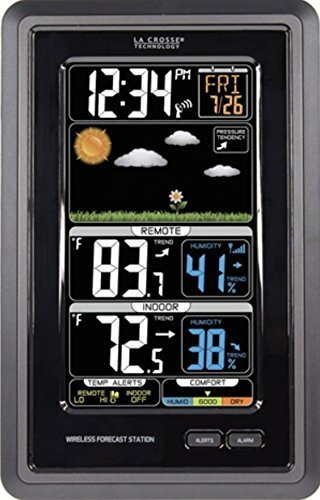 A weather ticker at the bottom streams real-time data such as moonphase and the current indoor comfort level, and if this bright display is not to your liking, another console option features a more subdued theme. Built-in temperature and rainfall tracking. Along with providing live weather data, the AcuRite 01512 tracks rainfall levels as well as temperature highs and lows for daily, monthly, and yearly periods. This makes it easier to analyze long-term trends at your location. Great value. The AcuRite Pro Color represents an excellent value for a full-featured wireless home system. The 01512 is the perfect choice for buyers who want something in between professional-grade weather stations and smaller entry-level units. Sensor probe is not the most accurate. The AcuRite 01512 should be accurate enough for most buyers, but it lags behind more sensitive units like the Vantage Vue or Vantage Pro2. Professional users and others with stricter needs may want to spend the extra money for a more advanced system. Uses both solar and battery power. The sensor features a solar panel, but unlike the solar-powered probes on the Vantage Vue, the AcuRite lacks an internal lithium ion battery and relies on AA batteries for backup energy. This is generally not a huge concern, however, as these batteries should not need to be replaced frequently. The age of smart tech has given rise to a number of Internet-connected weather stations. These newer systems not only collect and store data over time, but can upload it to a cloud-based network such as Weather Underground for long-term tracking and analysis. Like many “smart” appliances, internet weather stations offer convenient access from mobile devices via companion apps and can be easily integrated into a wider smart home ecosystem, working together with other connected devices like smart sprinkler systems. Tech-savvy users should consider an Internet weather station like Ambient Weather’s WS-0800-IP Observer Base. This system measures environmental metrics just like a standard weather station, but with the added feature of connecting to cloud services like Weather Underground to upload, store, and share data in real-time. The Observer Base is perhaps the most economical way to get started with this, and its easy setup and companion apps make this “smart” weather station a breeze to use. Easy setup and intuitive interface. The Ambient Weather Observer Base is dead simple to set up and get connected. 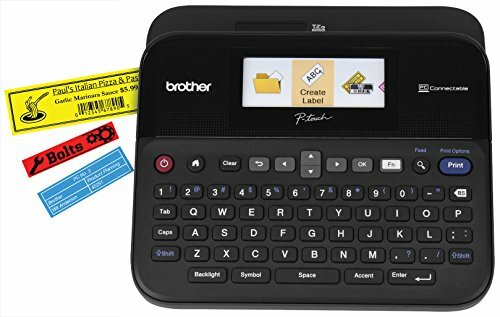 Its user-friendly mobile apps and computer interfaces are also information-rich, easy to navigate, and let you access and manage data more easily than a traditional console display. Uploads data to online cloud services. This system connects to both the Weather Underground and Ambient Weather online services, automatically uploading data to the cloud in real-time. This info will be shared with the wider Weather Underground community, and you can use your Ambient Weather profile to monitor, track, and analyze the long-term data your station has collected. Small footprint. Both the wireless sensors (one indoor, one outdoor) and the ObserverIP console are small and lightweight. This adds to the easy setup and operation of the WS-0800-IP and eliminates the need for difficult installation that larger sensor probes can require. Excellent value for a “smart” weather station. The Ambient Weather Observer Base is the most economical way to jump into the world of internet weather stations, making it a great option for tech-savvy buyers who want a “smart” system on a budget. Functions are fairly basic. As this is an entry-level system, the Observer Base does not offer advanced measurement capabilities. The WS-0800-IP covers the basics of temperature, humidity, dew point, and air pressure, but notably, lacks a rain gauge and anemometer. ObserverIP console requires Ethernet. The small ObserverIP console which collects data from the sensors and uploads it via your router requires a wired Ethernet connection to do so. This is not a major drawback, but is nonetheless something to be aware of when planning to set up the system. Sluggish compared to other systems. Due to the way it collects and handles data, this internet weather station is a bit slow, featuring a response time of roughly one minute. Compare this with other systems which generally update within 30 seconds or less. If you need a weather meter that you can carry when you’re on the move, then you’ll want to consider getting one of the many portable units available today. Owing to their small size, these handheld devices naturally have fewer features and limited range than larger home weather stations, but at roughly the size of a large cell phone, their portability makes them ideal for campers, hunters, and other users who need quick and accurate environmental readings while on the go. Whether you’re hunting, hiking, camping, or just hitting the lake for a few days, a handheld weather meter can save your weekend – and possibly your life. The US-made Kestrel 3500 is one of the best devices available from the most trusted name in handheld weather meters. This unit is waterproof and shock-tested, and although it fits in your pocket, it collects an impressive array of data including temperature, altitude, heat index, air pressure, and more. Excellent measurement capabilities for a handheld unit. 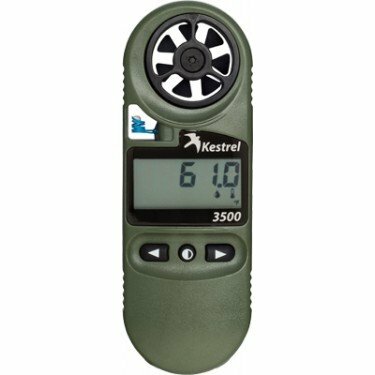 The Kestrel 3500 measures wind chill and speed, temperature, altitude, barometric pressure, relative humidity, heat stress index, and dew point, giving you a lot of information for such a small device. It also reports max and average wind speeds for your location which is useful for certain applications like long-range shooting. Rock-solid build quality. Kestrel weather meters are manufactured in the U.S. to a high standard, and this shows in the solid build quality of the 3500. This device has a waterproof rating of IP-67 and is drop tested in accordance with the MIL-STD-810G standard. It floats in water and includes a hard protective case as well. Backed by a 5-year warranty. The Kestrel 3500 is backed by a generous 5-year warranty from the manufacturer. Thankfully, its excellent construction means that you will most likely not have to take advantage of this. Optional night vision-preserving display. 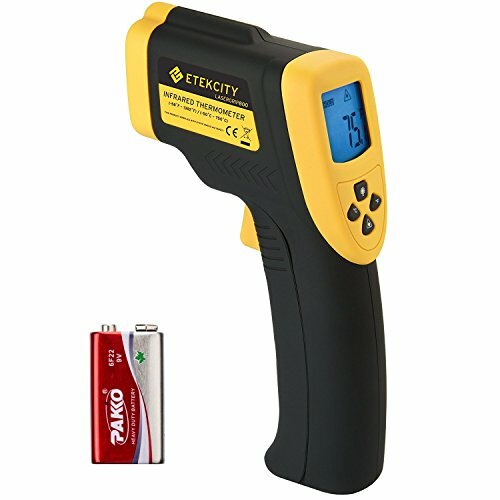 This model is available with either a standard backlit display or a dimmer Night Vision-Preserving backlight. This dimmer lighting lets you use the 3500 in the dark, but doesn’t produce enough glow to ruin your night vision or give away your position. Barometer and altimeter may require frequent re-calibration. 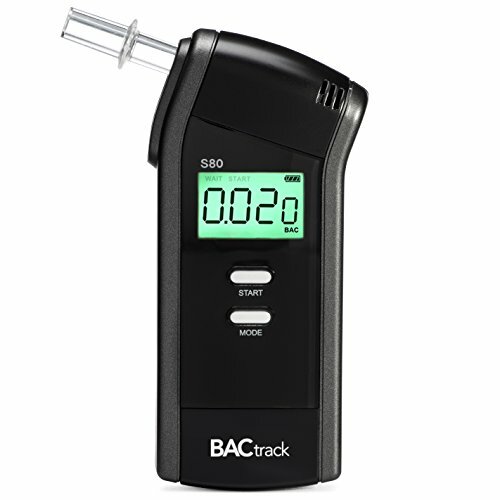 Due to environmental variances in different topographies, the barometer and altimeter may not give accurate readouts when you are moving from location to location. It’s not uncommon to need to re-calibrate these functions fairly often because of this. Only displays one variable at a time. The Kestrel 3500’s display is fairly small and only provides one primary readout at a time, requiring you to cycle through each one manually when you want to check multiple variables. Wired (sometimes also referred to as “cabled”) weather stations are purpose-built for professional users and serious weather enthusiasts. 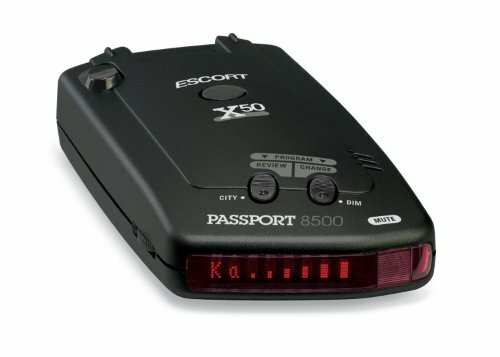 These feature-rich systems tend to be fairly expensive compared to wireless stations and require a more involved installation due to using a wired connection between the sensors and the console, but provide the most accurate measurements and suffer from fewer connectivity issues when operating in rough weather. Farmers, climatologists, firefighters, and other professionals who need the most features and highest amount of accuracy available in a commercially-available weather system should consider spending the extra money on a cabled station. Professional users and serious weather enthusiasts stand to gain the most from a high-end wired weather station like the Davis Instruments Vantage Pro2. Ideal for farmers, firefighters, climatologists, and others with demanding needs, the Vantage Pro2 sensor collects and tracks measurements for rain, wind, temperature, humidity, and more, and delivers this to the console over a reliable high-speed wired connection. Its sensor suite is solar-powered, radiation-shielded, and customizable, letting you create a perfect setup. Wired connection provides maximum reliability. The stand-out feature of the Vantage Pro2 cabled system is its high-speed wired connection. In contrast to standard wireless systems, this connectivity is more reliable in inclement weather and less prone than a wireless link to signal interference and drops. Collects myriad environmental data. The sensor suite measures and reports temperature, humidity, wind speed and direction, air pressure, rainfall, heat index, solar radiation, and dew point. The system also tracks multiple weather variables for periods of 24 hours, days, or months, and provides an accurate forecast using a variety of data instead of just air pressure trends. Accurate and customizable sensor suite. The Vantage Pro2 probe delivers the accuracy one expects from a professional-grade weather station, and the system can be customized with add-ons (sold separately) for additional features like internet connectivity. The wired anemometer can also be detached from the main sensor at a distance of up to 40 feet for optimal placement. Solar-powered and radiation-shielded probe. The sensor suite is solidly built, protecting it against harsh outdoor conditions, and is shielded against radiation. The probe utilizes a solar panel and backup lithium-ion battery for power as well. Top-notch range and response time. Although the Vantage Pro2 only comes with a 100-foot cable, you can extend this with additional cables for a wired range of up to 1,000 feet. The wired connection delivers a snappy response time of fewer than 2.5 seconds so you’re kept abreast of current conditions and any sudden changes. Similar console design to the Vantage Vue. The Vantage Pro2 console has a similar design to that of its cousin, the Vantage Vue. This black-and-white backlit base station works as it should, but some style-conscious buyers might be turned off by the decades-old aesthetics. Considerably expensive. The Davis Instruments Vantage Pro2 is a high-end system with a price tag to match. While its professional-grade features and performance are worth the cost to many, it is likely overkill for most average users. Add-on components are not cheap, either. Installation is more involved than a wireless system. A cabled system is naturally more difficult and time-consuming to set up and install than a wireless weather station due to the wired connection. Getting started with the Vantage Pro2 will require some planning as well as some elbow grease, and it may be worth it to pay for professional installation.